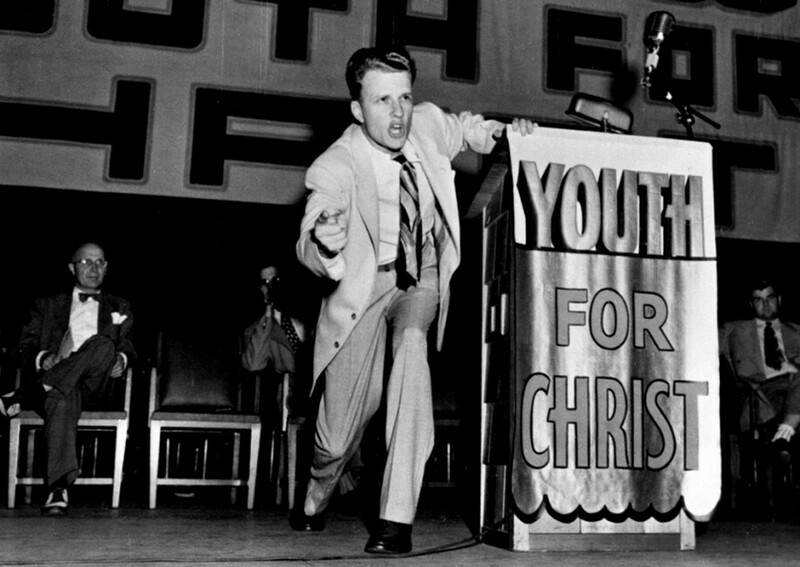 As I’m sure you’ve probably heard, the great Evangelist Billy Graham passed away February 21, 2018. He was 99 years old. I didn’t know him personally, but I worked at the Billy Graham Evangelistic Association (BGEA) for 8 ½ years. Someone suggested to me that in light of my years of employment there, it would be nice to share a few memories of my time there. When I look back on those years, I have only fond memories. It was my first real job after high school. I attended North Central Bible College during the day and worked at BGEA at night. One of the most notable things about the BGEA is that its employees came from all different denominations and non-denominations for that matter. Yet there was no strife. No one argued with each other over doctrinal differences. Everyone got along. The atmosphere was perfect peace. Every day. A lot of people stopped by BGEA for a tour, wanting to see the facilities of Billy Graham’s headquarters. A lot of them were famous. One of the perks of working there was that when someone famous came for a tour, they would always try to rope them into doing a chapel for us. All of them were overwhelmed by a sense of God’s presence. They would say, “I feel God in this place. It’s just thick with God’s presence.” The most memorable guest visitor, to me, was the sister of a very famous country music star. She was so overwhelmed by the presence of God, she could barely speak. Overcome with emotion, it took a while to gain her composure. She was having such a personal experience with God, it felt almost wrong that all of us were watching her experience something so intimate. We all sat quietly, not wanting to disturb what was happening. Soon she got ahold of herself. “How can y’all get anything done in this place with God’s presence so strong everywhere?” She was so sweet. She managed to sing a few songs for us. Billy was famous all over the world. He got letters from every state in the U.S. and from all the nations. There was a really large display board in the lunch room with envelopes that had wrong addresses mailed to BGEA. They were the funniest things you ever saw. Some envelopes just had his name and Minneapolis on it with a note to the post office: “I don’t know his address but I’m sure you can get it to him.” And they did! One envelope had on it a message to the postman: “Mr. Mailman, please get this letter to that famous evangelist in America.” Another envelope didn’t have any words on it. It just had a picture of Billy’s face on the front. People were so grateful to him, they would send him all manner of gifts. They had a special room, a very large room, where they kept all the gifts people sent to Billy. The gifts were piled high, everywhere. There were so many gifts, he would never have been able to keep them all in his home. People, of course, sent donations to the ministry for his evangelistic crusades, but there was another popular cause for which people sent money: it was for Billy to get a haircut! A lot of people thought his hair was too long. So funny. Though his headquarters were in Minneapolis, he lived in North Carolina. So he very rarely made trips to the headquarters. But when he did, it was a big deal. I remember vividly the first time he came when I worked there. There came an announcement over the intercom: “Rev. Graham will join us in the chapel in 15 minutes.” Everybody left what they were doing and quickly headed toward the chapel. My friend and I walked swiftly toward the chapel. We fought the urge to run, wanting to maintain some dignity. But then elderly employees flew past us, running toward the chapel. We looked at each other and rolled our eyes. But then when we saw all the best seats were filling up fast, we looked at each other, laughed, and started running as fast as we could. Billy always talked about what it was like in the beginning, how everything started. Sometimes, he would share what it was like having to deal with fame and the pitfalls that came with it. As an example, he said he learned early on never to enter a hotel room alone. He would always have other people walk into the room first and check out the closets, bathroom, and under the bed. This precaution came as a result of sneaky reporters that wanted to take a picture of a famous evangelist in a compromising position. They would pay hotel maids to let them into his room where they would hide with a scantily clothed woman. When he entered the room, the plan was to have the woman jump out and cling onto him in a seductive way and the reporter would start taking pictures. Though they tried often, they were never successful. The most rewarding work at BGEA was opening up the mail sent in by the untold numbers of people whose lives were touched in some way. People would write in to say how much the ministry blessed them, how it changed their lives. I read some of the most glorious testimonies of salvation that would bring even the most hardened person to tears. There were stories of deliverance and stories of miracles. It was exciting to open the mail because you never knew what amazing thing you were going to read. It would always make me both cry and laugh. I feel so honored to have worked for such a wonderful organization and godly man. To God be all the glory! Here are some more quotes from people about Billy Graham. Hello, old friend, I enjoyed reading your blog! I, too, have fond memories of working at BGEA. I met him once when he came for a visit, George Wilson introduced me & my friend as “our two new girls”. I count it a privilege to have worked there! Jackie! I’m so glad you enjoyed reading my blog. I didn’t know you had a face to face meeting with Billy! That is so awesome. It was such an awesome place to work. We were such babies then!